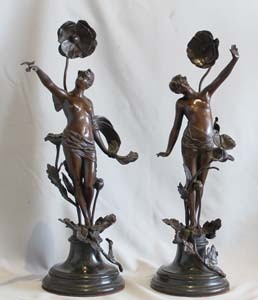 Pair of antique bronzes of nymphs with applied flowers on circular bases. 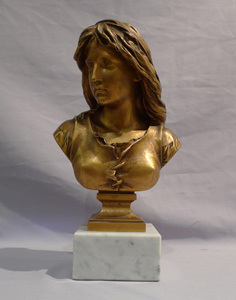 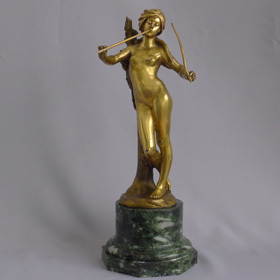 Antique French bronze bust of a classical maiden on reeded marble base. 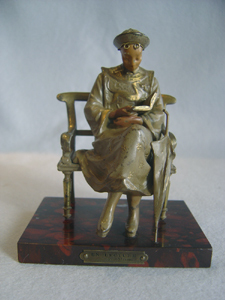 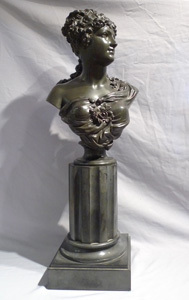 Art Nouveau bronze bust, ormolu, of a woman signed Barbedienne. 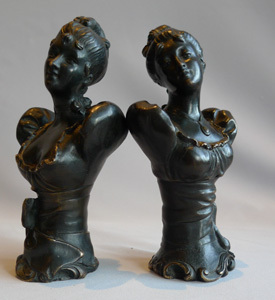 Art Nouveau antique bronzes, a pair of "Ladies of the Night"
Cold painted bronze of oriental student on rouge marble base signed Maxim. 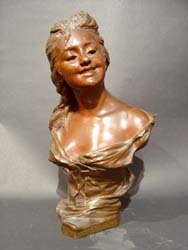 Antique Art Nouveau Two Tone Patinated Bronze Bust of a Young Girl.